Originally published Tuesday, December 23, 2014 by Environment & Energy Daily. Contact E&E for permission to republish. As a painful reckoning sets in throughout the West, where the Colorado River Basin is in its 15th straight year of drought, desperate water managers are welcoming a new cloud-seeding study as rare good news. 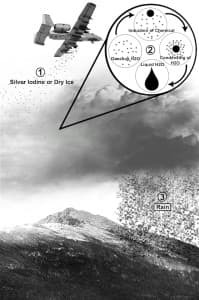 The concept of cloud seeding — using aircraft or ground-based generators to inject microscopic particles of silver iodide into clouds around which ice crystals can form and fall as snow — dates back to the 1940s. Today, ski resorts, water districts and farmers across the West swear by the practice to produce both snow and water, spending millions of dollars a year on machines and flights. But proving that money is well-spent has been tricky. Because, while it might snow or rain after a cloud’s been seeded, it’s hard to know whether the seeding actually caused the precipitation. The National Research Council concluded in a 2003 report there was “no convincing scientific proof” that cloud seeding and other forms of weather modification worked. There had simply been too little robust research on the topic, the panel said. Wyoming’s Legislature took the challenge and, buoyed by coffers filled from oil and gas severance taxes, poured $14 million into a major study over the past 10 years that employs the latest scientific techniques recommended by the NRC panel, as well as an independent evaluation team. The topline findings, recently unveiled to the Legislature: Seeding the right storms the right way can produce 5 to 15 percent more precipitation. That could increase streamflows by as much as 3.7 percent, the researchers’ initial findings indicate. The study also found seeding to have next to no downwind impact, suggesting seeding storms to get precipitation in one place is not decreasing precipitation elsewhere. 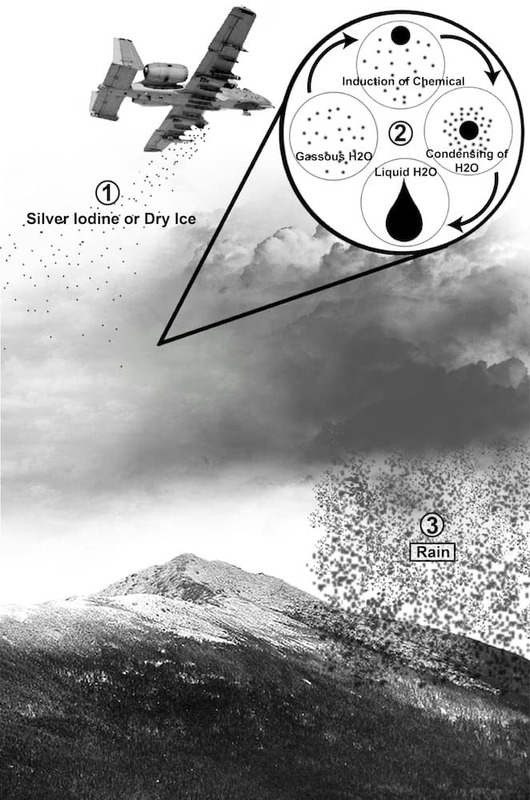 “We know that silver iodide produces ice crystals, so really it ends up being an engineering problem: Can the ice crystals get into the right cloud at the right place and can we do all this?” said Roy Rasmussen, a senior scientist with the National Center for Atmospheric Research who led the study’s outside evaluation team. But the results didn’t look so good at first. When researchers initially sat down to analyze the data collected from seeding storms over six winters, they saw little difference between the storms that were seeded and those that weren’t. But, in practice, sometimes the cloud seeding material from the target range was slipping over into the control range. Rasmussen’s team also eliminated data from times when equipment didn’t operate properly. Separately, the team also used high-resolution modeling to estimate the impacts of seeding. All of this data, together, led researchers to the 5 to 15 percent increase conclusion. 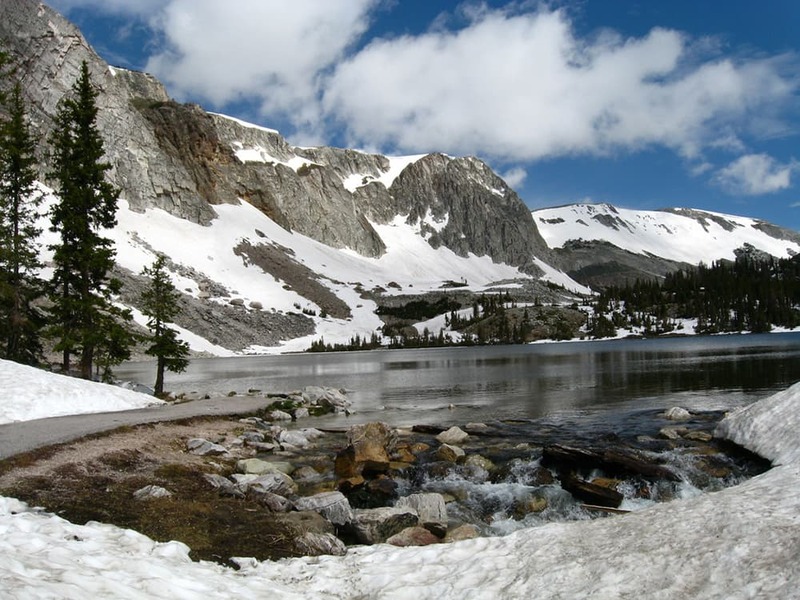 Western water managers have had a close eye on the Wyoming study. Extended drought on a fully allocated system has left the Colorado River’s main reservoirs — Lake Mead and Lake Powell — at less than half capacity. Water levels are on a path to head threateningly near elevations that could begin triggering curtailments to Arizona, Nevada and eventually California, cut off hydropower, and potentially leave the city of Las Vegas without access to water. In short, managers are desperate for water. There are three ways to get more water: increase supply, decrease demand and make the system more efficient. Experts generally agree all three will be necessary. Cloud seeding appears to be one of the cheaper options in the first category. A major study of the basin released by the Bureau of Reclamation in 2012 estimated that weather modification could increase water supply at a cost of $30 to $60 per acre foot each year. Other approaches to augmenting water supplies — like desalination or importing water from other basins — run orders of magnitude higher. “The fact that cloud seeding could be part of our tool box going forward is a significant finding,” said Chuck Cullom, Colorado River programs manager for the Central Arizona Project, a 336-mile canal network that delivers water to Phoenix and Tucson, as well as agricultural users. CAP kicked in some additional funding for the Wyoming study. “It’s not a drought-busting technology, but it can increase a bad year and make a normal year better,” he said. Many are already betting on cloud seeding. Every state except Arizona has a program underway. Just in the state of Colorado, there are 45 sponsors — water districts, cities, ski districts and others — participating in cloud seeding programs, said Joe Busto, a researcher with the Colorado Water Conservation Board who runs permitting for the state’s weather modification program. All told, about $1 million gets spent every year to target storms in five or six watersheds, he said. Some of that money comes from lower basin entities like CAP to help buy equipment, fund extra hours of seeding and do evaluations. 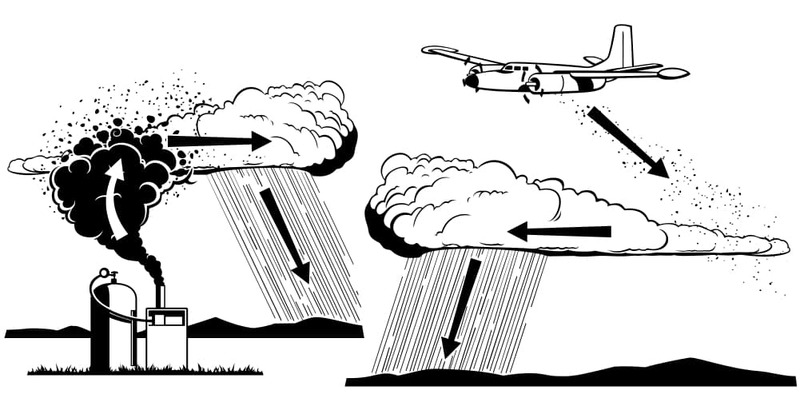 Right now, weather modification projects are premised on an important tenant: Precipitation created through the programs is treated just like any other precipitation. That means water produced from cloud seeding in Wyoming’s headwaters ranges might never make it to Lake Powell, the upper reservoir, if someone with an upstream water right exercises it. Even if a downstream entity helps pay for the seeding, they have no right to it. But proponents say that water right probably would have been exercised anyway, and without more water introduced into the system, it would only have caused reservoir levels to drop further. As stakeholders grapple with how to fill the gap between supply and demand along the Colorado River, which is only expected to grow as populations boom and temperatures rise, larger-scale cloud seeding efforts promise to be a hot topic. The new Wyoming study is likely to serve as a starting gun for those conversations, experts say. Why, I’d do a raindance, on a mountaintop, in my boxer shorts while tossing silver dollars at the stars if I believed for one instant that the Wyoming Legislature actually ponied up $14 million greenbacks to fund a study to prove once and for all: That humans dumping chemicals into the atmosphere really has the ability to alter the planet’s weather patterns……. The five to fifteen percent increase is the increase in precip during Cloud Seedable events not during the entire year. Most rain events are not seedable in the first place. The actual increase overall is more like 1 percent to 4 percent. I am on the select water committee and i knew that when this info hit the media, it would morph into something other than what the research showed.